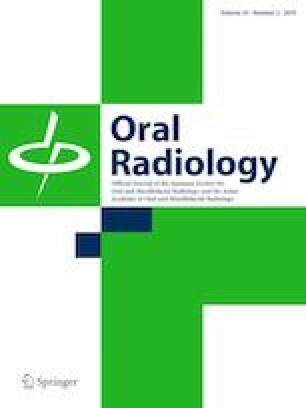 To develop and compare pediatric upper airway three-dimensional normative values using the two most commonly used cone beam computed tomography (CBCT) software: Invivo5 (fixed threshold) and Dolphin 3D (interactive threshold). Out of 3738 CBCT scans, scans of 81 pediatric patients were utilized after applying strict exclusion criteria. The sample was grouped into two age groups (7–11 and 12–17 years). Intra-class correlation coefficient was used to test intra-rater and inter-rater reliability and showed coefficients greater than 0.9 indicating good reliability of the methods used. Paired t tests showed that volumetric and area measurements obtained using Dolphin 3D were significantly larger than those obtained using Invivo5 (p < 0.05). The mean minimal cross-sectional areas (MCSA) for Dolphin 3D were 151 mm2 and 177 mm2 for age groups 1 and 2, respectively. The mean MCSA values for Invivo5 for age groups 1 and 2 were 120 mm2 and 145 mm2, respectively. Pediatric upper airway volumetric, area, and linear measurements were reported after applying strict exclusion criteria including a validated sleep questionnaire. Our goal is that clinicians utilize the proposed-here normative values for screening and assist in the timely diagnosis and management of pediatric sleep apnea.